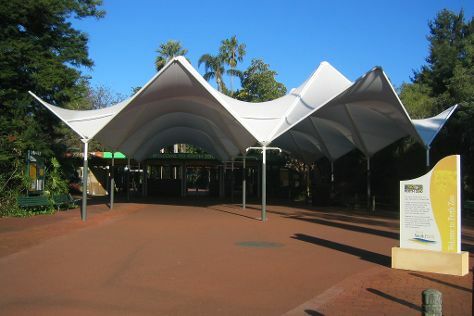 Kids will enjoy Perth Zoo and Cottesloe Beach. Change things up with these side-trips from Perth: Caversham Wildlife Park (in Whiteman), Fremantle (Fremantle Prison & Fremantle Markets) and Dolphin & Whale Watching (in Mandurah). Pack the 4th (Tue) with family-friendly diversions at Adventure World Perth Australia. Dedicate the 7th (Fri) to wine at some of the top wineries in the area. The adventure continues: explore the activities along Swan River, head off the coast to Penguin Island, admire nature's wide array of creatures at AQWA, and see the interesting displays at Scitech. For photos, other places to visit, where to stay, and other tourist information, go to the Perth trip site . If you are flying in from Malaysia, the closest major airport is Perth International Airport. In June, daily temperatures in Perth can reach 23°C, while at night they dip to 9°C. Finish up your sightseeing early on the 8th (Sat) so you can travel back home.